The Harlem Small Business exhibit presents two small business stories to inspire high school students to learn from their spirits. I have interviewed two small business owners from Harlem and recorded their stories. One of them is Grandma's Place, a popular toy store in Harlem. The other is Best Graphics Press. I conducted these interviews in conjunction with A People's History of Harlem, a project sponsored by the New York Public Library in association with Harlem Renaissance Economic Development Corporation. 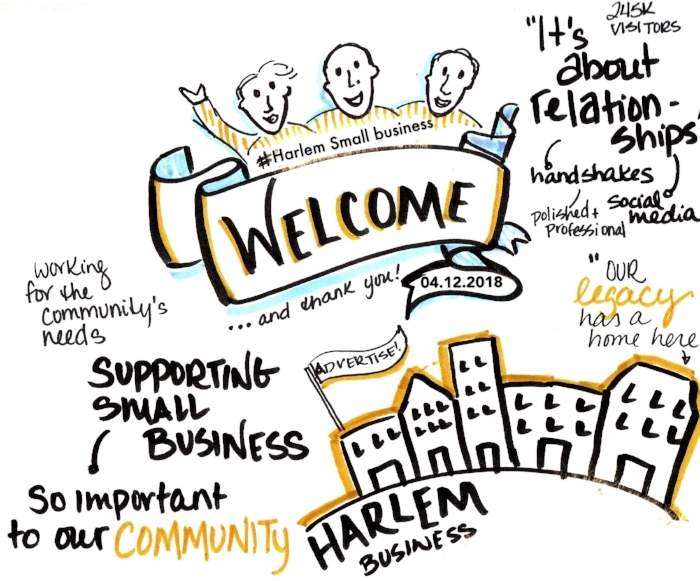 Come and experience Harlem small business stories! Yameng Xia is an OHMA student from China. She earned her undergraduate degree from Fudan University, Shanghai. Yameng is interested in modern Chinese history, including the Down to the Countryside Movement, which is the subject of her oral history masters thesis.